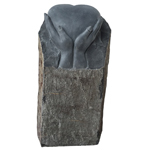 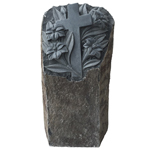 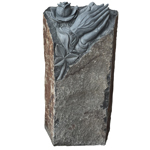 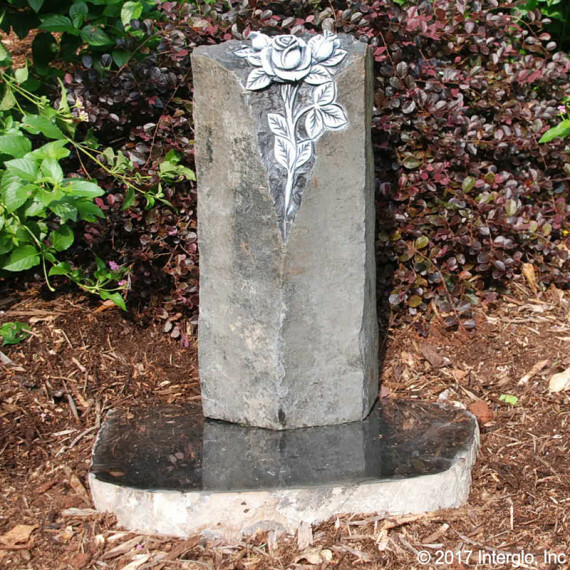 These beautiful hand-carved Cremation Garden Towers are made from natural stone (Basalt) and are offered with a variety of hand-carved flowers, crosses, hearts and other designs. 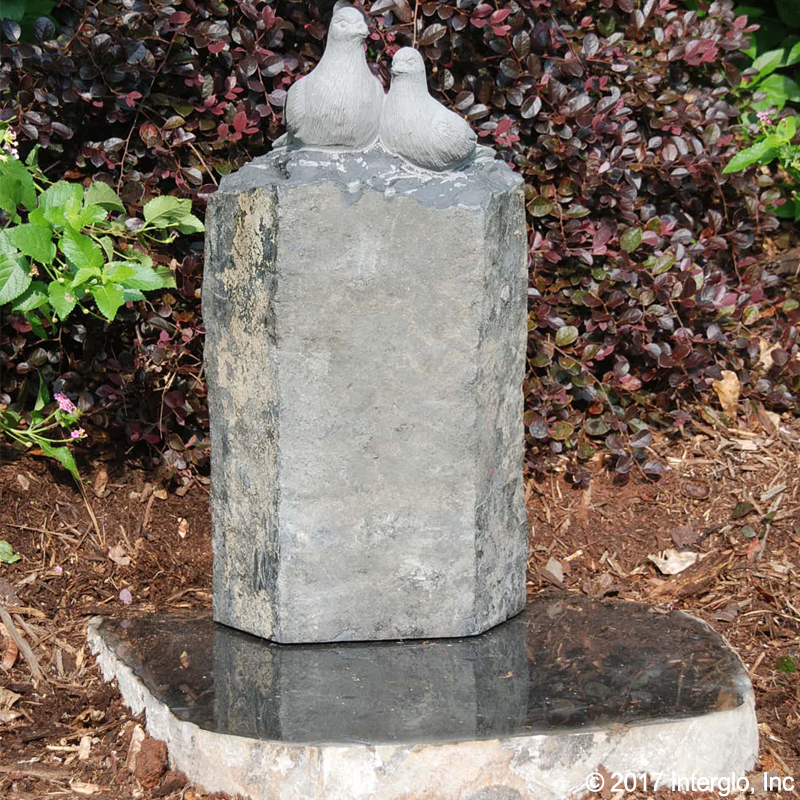 The Towers are designed for use in a home garden or cemetery setting. Each Tower has a round hole drilled in the bottom for placement of a canister or urn with cremation ashes, with a natural stone cap to cover and secure the hole. 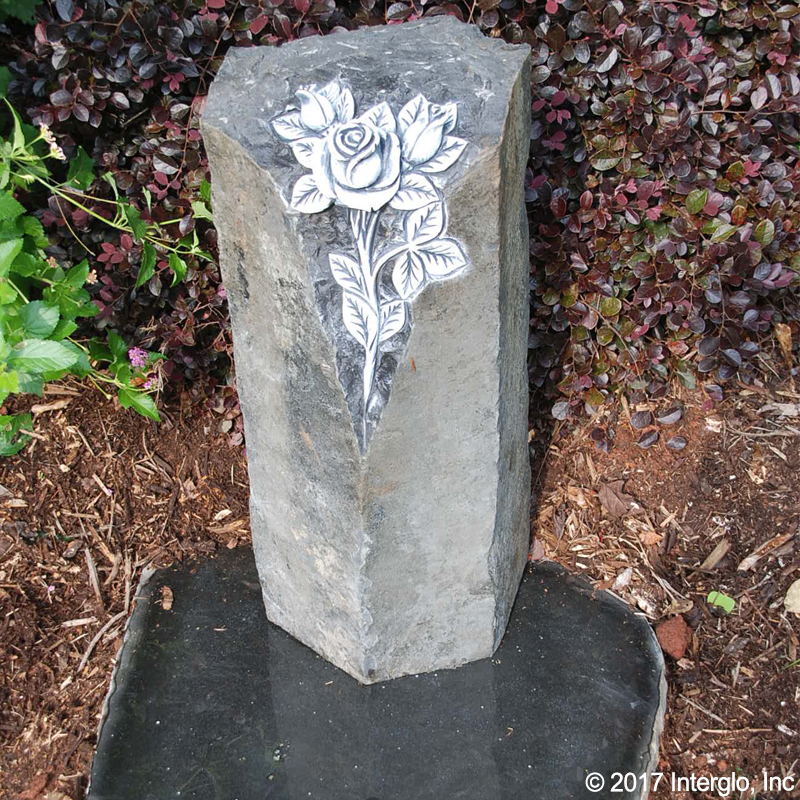 An optional matching natural stone base serves as a foundation for the Tower and for sandblasting or etching of names and dates of a loved one. Stainless steel canisters, designed to fit the core hole in the Tower, are offered for storage and placement of the cremation ashes.